Welcome to Frohriep Auto Body!! 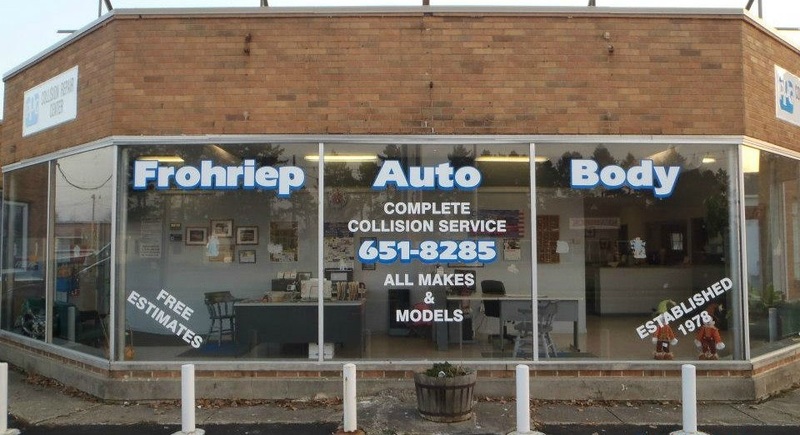 At Frohriep Auto Body, we know how inconvenient it is to be involved in an accident. You just need to get your car back fast to get on with life. That is why we offer the most dependable auto repair service in the Sturgis, MI area. With over 20 years of experience, you can rest assured that our I-CAR-certified technicians can do the job for you, on time, every time. We are a full-service repair and maintenance facility, trained in a wide variety of autocare packages such as: total auto body work, collision repair, paintless dent repair, custom painting, and more! We offer free estimates for all services and walk-in appointments are more than welcome. Best of all, we’ll take care of all of the insurance paperwork - from all companies - for you! We proudly serve the areas of Sturgis, Klinger Lake, Fawn River, Burr Oak, Nottawa, Findley, Fairfax, Colon, Leonidas, Mendon, Factoryville, Shenwood, Matteson, Bronson, Gilead, Bethel, Batavia, East Gilead, Kinderhook, Coldwater, and the surrounding areas. 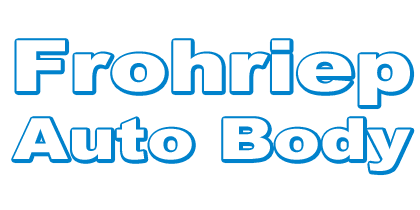 At Frohriep Autobody we take the dents out of accidents.